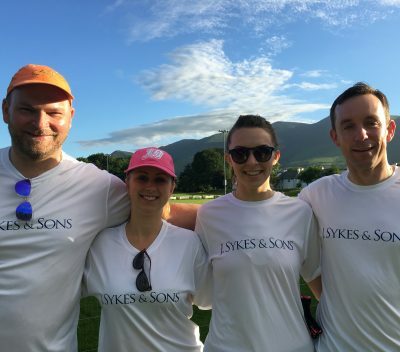 On the 17th June, 4 members of the Sykes Seafoods team took part in the ‘Samworth Brothers Charity Challenge’ in the hope of raising money for Cancer Research. The event involved 8km run, 10km canoe and 30km mountain bike ride around Keswick…all in the heat from the hottest day of the year. Overall, they completed the course in 18th position, something which we are all immensely proud of here at Sykes. However, the real reason behind it all was to raise money for a charity of our choosing – Cancer Research. With the help and sponsorship of everyone, ‘Any Fin is Possible’ raised over £2000 for charity – so a big thank you is very well deserved not only to the team but to everyone that contributed.